Started this discussion. Last reply by Stephen Williamson Dec 25, 2013. Started this discussion. Last reply by Scott Boyle -admin Sep 20, 2013. Started this discussion. Last reply by Jeremy Sams Jun 19, 2011. I am looking to purchase an umbrella for my plein air adventures. Do you have any suggestions as to which one I should buy? I have a homemade pochade box and a fairly bulky tripod. Started this discussion. Last reply by Scott Boyle -admin Apr 8, 2011. "Great memories, Awesome farmer figure!!" 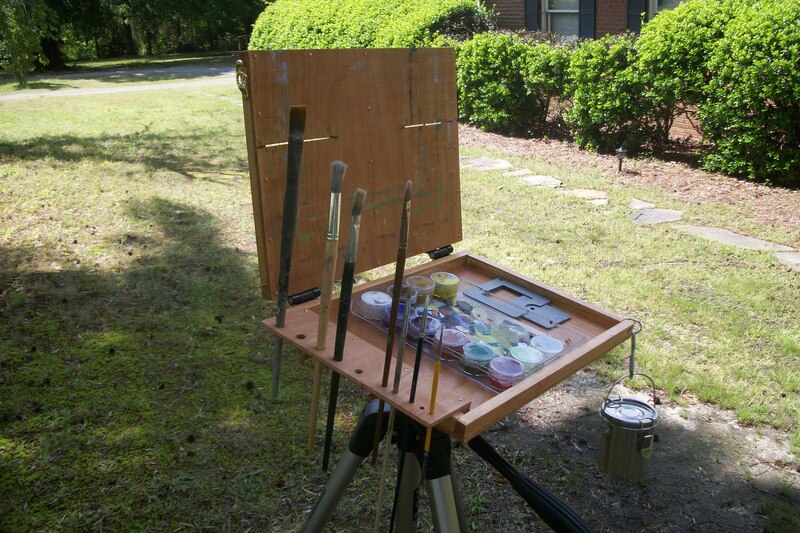 "Your plein air paintings give me so much to strive for! They are lovely!" "Thank you Martha! this was really a test for me in subtlety." "LOL Thanks so much Martha!" View the blog post at my personal blog. Thanks, Jeremy. Looking forward to the adventure. Jeremy... I have admired your work on Facebook for sometime now. I'm looking forward to getting to know you better through this site. I look forward to painting with you in Ashe County sometime. Thanks, Buddy. Hope to paint with you sometime this Summer or Fall. Thanks Jeremy - really like your work too! Nice thing about this site is learning about other painters in our area. Cool pochade! Thanks Jeremy, and I have family (kids and grandkids) living in High Point. In fact they are visiting with us here at the beach as I write. Have you ever been to Southport to paint? It is a quaint little fishing village that is changing so fast. Beautiful old houses, giant "live oaks", and commercial fishing. I really like your paintings. Keep on doing it!